Posted March 13, 2017 by Holly & filed under Baking, Cakes, Dessert, Mousse - Cheesecake, Nobake desserts, Party, Quick and easy dishes. What inspired me to make this cake was a very hot summer day when all I craved was something fresh, chilled, rejuvenating, and of course delicious to put a complete note on my afternoon party. Despite the fancy looks, this cake is as simple as can be. 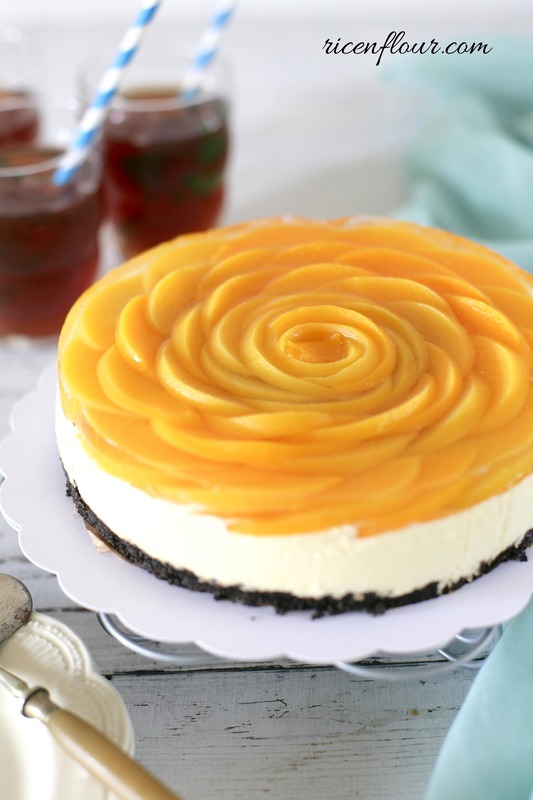 It’s creamy peach cheesecake on a layer of Oreo cookie crust. Then the cake is topped with glowingly yellow peach slices under cold, melt-in-the-mouth peach jelly. It didn’t take me more than 1 hour to complete, and the final product was more than satisfying. A detailed recipe with all the specific notes is available on my YouTube Channel (Savoury Days Kitchen) in both English and Vietnamese (select your preferred language by clicking CC > Setting > Language). You guys can check it out at this link or the video right below. *Note: In the video, I used tinned apricots instead of peaches for the filling because I couldn’t buy enough peaches at the supermarket. Peaches and apricots yielded slightly different tastes, both were delicious and it didn’t affect the texture of the cake. 1. Line parchment paper on the bottom of the pan, make sure the paper sticks out a little so you can easily grab and pull it off the cake later. 2. Melt 40g butter. Crush the Oreo cookies with a food processor (no need to get rid of the cream filling). Mix cookie crumbs with melted butter and transfer to the pan. Smooth out with a spoon and press firmly to form a base. You can press using the bottom of a glass. Chill in the fridge for 20-30 minutes for the base to set. 1. Soften 6g gelatin in 40ml water for 10-15 minutes. If you use gelatin powder, stir gently so the powder is thoroughly soaked. 2. Blend 150g peaches with 60ml peach juice. 3. Dissolve the gelatin by heating up over hot water or in microwave for 20-30 seconds until it is completely dissolved. 4. Take out some spoonfuls of blended peaches and combine with melted gelatin. Make sure to scrape the bottom and walls of the bowl because gelatin tends to stick there. Pour this mixture back into the blended peaches, mix well. 5. Whip cream cheese in a bowl at lowest speed for 1-2 minutes until softened. Add whipping cream, beat at medium speed until well combined. Then increase to high speed, whip until soft peak. 6. Transfer the peach mixture to the cream cheese, mix well with a spatula. It’s best to fold rather than stirring to avoid the cream curdling. Pour the mixture straight into the pan, tilt pan so that the mixture is evenly smoothed out. Chill in the fridge for at least 2 hours or until the cream cheese is completely set. 1. Soften 4g gelatin in 150ml peach juice for 10-15 minutes. Cook on medium heat, stir well to make sure gelatin is completely dissolved. Remove from heat, add sugar to taste. Let cool to room temperature. 2. Slice peaches thinly. Line the thin slices of peaches around the top, starting from the outside working your way inwards to create a flower. 3. Gently pour the gelatin mixture at step (1) on top of the cake. You can submerge the peaches completely in the jelly or just partly. Note: The gelatin must have completely cooled and be poured gently. If the gelatin is too hot, the cheese layer can melt. Let cool in the fridge for another 2 hours or until the jelly layer is completely set. 4. Keep cake in the fridge, good to eat for 2 days. When taking the cake out, run a thin knife around it. You can also warm up the walls of the pan by blow-drying it with a blow dryer for 20-30 seconds, the cake will pull itself away from the pan. *Note: Do not replace gelatin with agar powder in part (B). For part (C) you can, the jelly will have a crunchier texture. 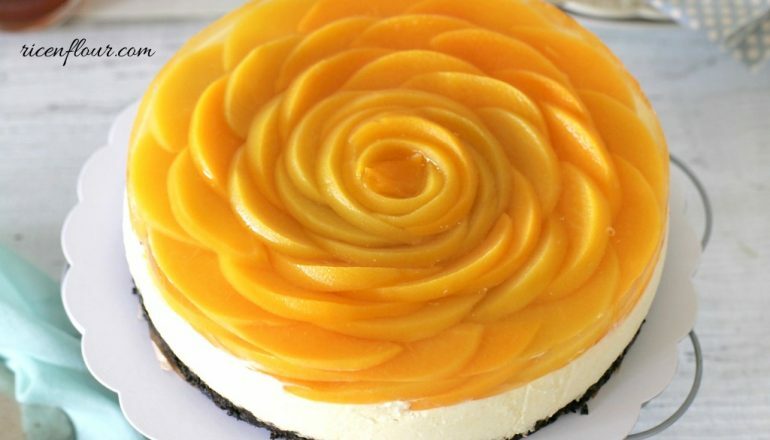 I just watched your video on No Bake Peach Cheese Cake, beautifully done. 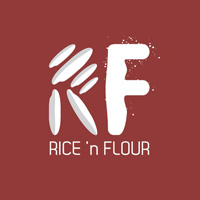 Thanks for sharing your passion of baking with us, keep up the good work.